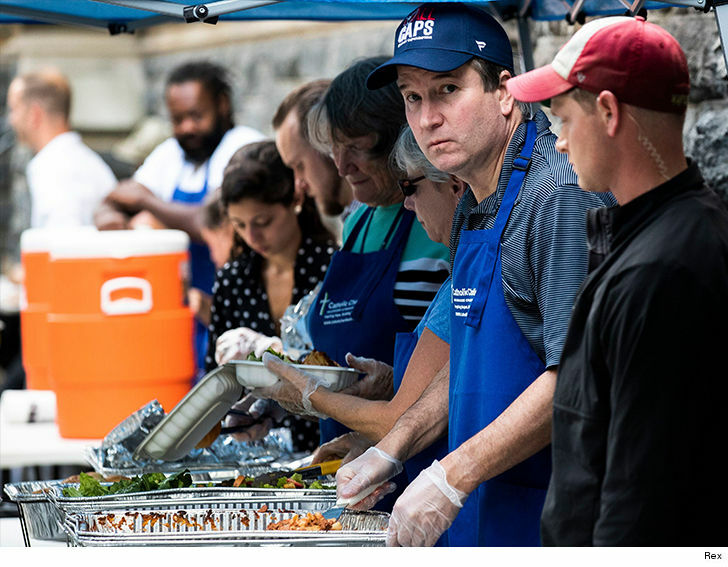 Justice Brett Kavanaugh Serves Meals to the Homeless in Washington, D.C.
Justice Brett Kavanaugh isn't letting his first week on the High Court throw him off his routine, not when it comes to charity, anyway. 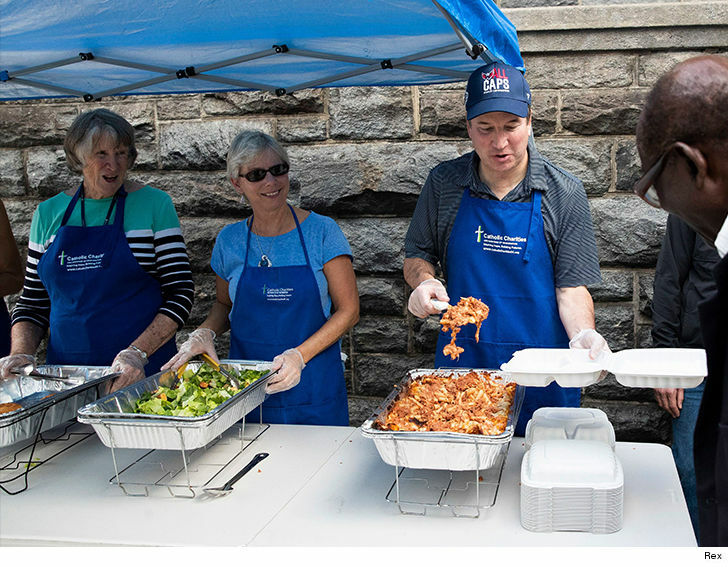 The newly confirmed Supreme Court Justice slipped on a ball cap and rubber gloves to dish out meals to the homeless Wednesday in Washington, D.C.
Kavanaugh was working with Catholic Charities to help feed people in need. Cynics might see this is as a blatant attempt at image repair after the nightmare of his confirmation hearing, but the truth is ... this appears to be a regular thing for him. The Justice was also seen serving up grub to the homeless back in July with the same organization. 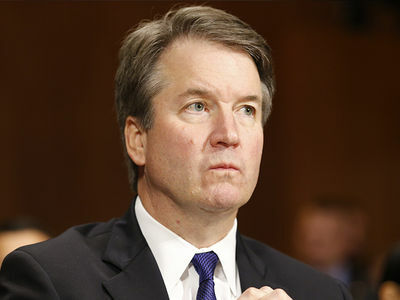 No truth to the rumors Donkey Dong Doug accompanied Kavanaugh to pitch in at the event.